5 minutes by bus from JR Morioka station via East Hachimantai Kotsu Center bound for Hachimantai Royal Hotel. Shuttle available from JR Morioka station. Reservations required. Guests become poets as they see through hotel windows the magnificent view of Mt. Iwate praising the natural beauty that changes from season to season. In spring, guests can enjoy walking in the Kenminnomori woods while in summer, they can play tennis at all-weather tennis courts. In autumn, scarlet-tinged male leaves await our guests and in winter, they can enjoy a romantic evening illuminated by color shadows. The sky of Hachimandaira filled with stars is a must-see. We cordially invite you to this romantic world of stars. 15 minutes by taxi from JR Shizukuishi Station. 35 minutes by car from Morioka IC Tohoku Expressway. Shizukuishi Prince Hotel features a hot spring open- air bath surrounded by untouched nature and in front of Mt. Iwate. The world standard Shizukuishi Skiing Slope and the 36-hole Shizukuishi Golf Course border the hotel and making it the sportsperson's resort. Please enjoy the resort life with many activities in the nature's grandeur. 20 minutes on bus from JR Shizukuishi Station bound for Oshuku onsen, Or 50 minutes on bus from JR Morioka Station bound for Oshuku onsen. Get off at Ozanso-mae and 2 minutes on foot.15 mintes by taxi from JR Shizukuishi Station.40 minutes by taxi from JR Morioka Station. Hotel Kairakuen is 2-story quiet, simple hotel by Japanese traditional sukiya-style building. It boasts the relaxedly large main bath and open-air bath. It is convenient to enjoy activities such as golf, skiing, mountain climbing, edible wild plant, mushroom collecting and river fish fishing. 20 minutes by bus from JR Shizukuishi Station bound for Oshuku Onsen. 35 minutes by taxi from JR Morioka Station. 25 minutes on bus from JR Shizukui Station bound for Osyuku Onsen(last stop)and 5 minutes walk. 20 minutes by taxi from JR Shizukui Station. 25 minutes by car from Morioka Interchange on Tohoku Expressway via Ruote 46. 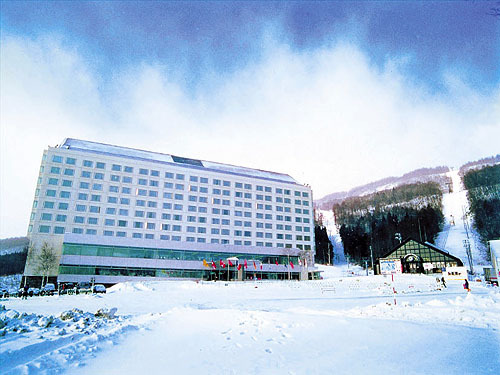 Hotel Kagasuke is a quiet mountain spa hotel located to the west of Morioka City. The tourist attractions near the hotel are "Ranch Koiwai", Kakunodate City- a little Kyoto of Michinoku and mystery Lake Tazawa. It is useful as a base to the Sanriku Kaigan National Park and Towada Hachimantai National Park. Please enjoy playing golf in summer, or skiing in winter. In addition, there is the theme park "Kenji World" which is only 1 or 2 minutes away by car. 15 minutes by taxi from JR Shizukuishi Station.20 minutes on bus from JR Shizukuishi Station bound for Oshuku Onsen. Get off at Rojin-ikoinoie and 5 minutes walk. 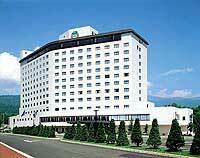 We hope you can find good hotel in this Page,"ALL Hotels in Iwate-gun,Japan".